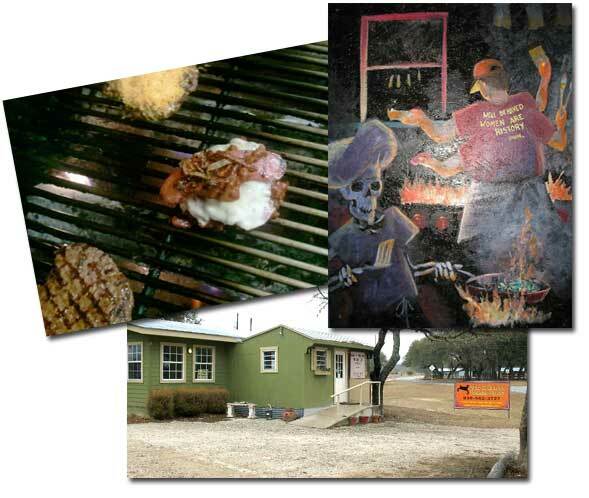 Mac and Ernie's Roadside Eatery | A Gourmet Restaurant in Tarpley, Texas?! Visit us at 11804 FM 470 (junction of FM 470 and FM 462). Our original shack has become the entrance of our new building – now you’ll be able to order inside! Lunch on Fridays and Saturdays includes hamburgers, cheeseburgers, and our famous Cabrito Burger. Dinners on Friday and Saturday night feature steaks, catfish, ancho chile honey basted quail and specials such as grilled pork tenderloin with a sweet-tart Vietnamese dipping sauce or grilled Tuna with roasted Jalapeno Mayonnaise. Dinners include baked potato and your choice of sauteed green beans or a salad sprinkled with feta cheese. We’ll have beer and wine, as well as soda, tea and coffee. And we’ll have a special surprise for you on Sundays! 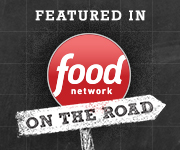 Mac & Ernie's was featured on the PREMIER episode of Diner's Drive-Ins and Dives with Guy Fieri on The Food Network. Also featured on Bizarre Foods with Andrew Zimmern on The Travel Channel.